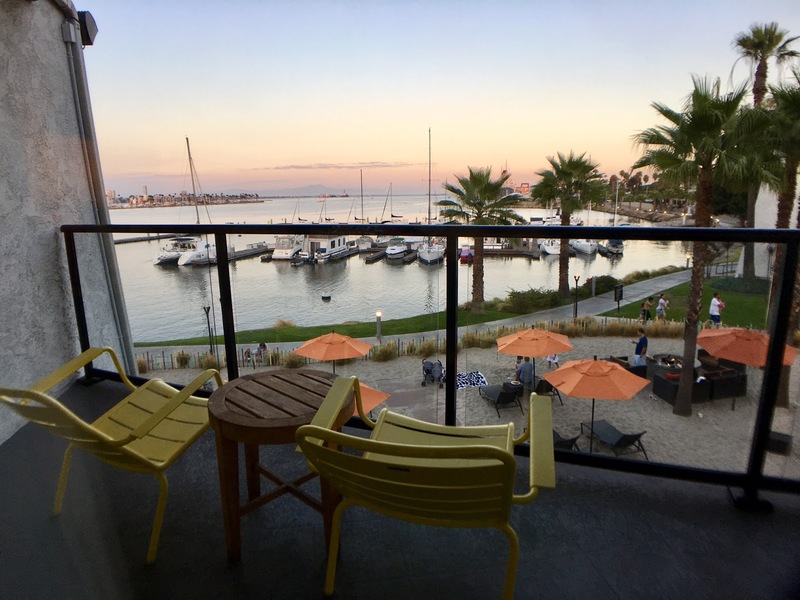 I'm irrationally excited to be writing this review of Hotel Maya, A DoubleTree by Hilton in Long Beach, California. As some of you may know, I've worked in the hotel business for 8+ years - started as a Reservations Agent and ended as a Director of Sales & Marketing with several other positions in-between. 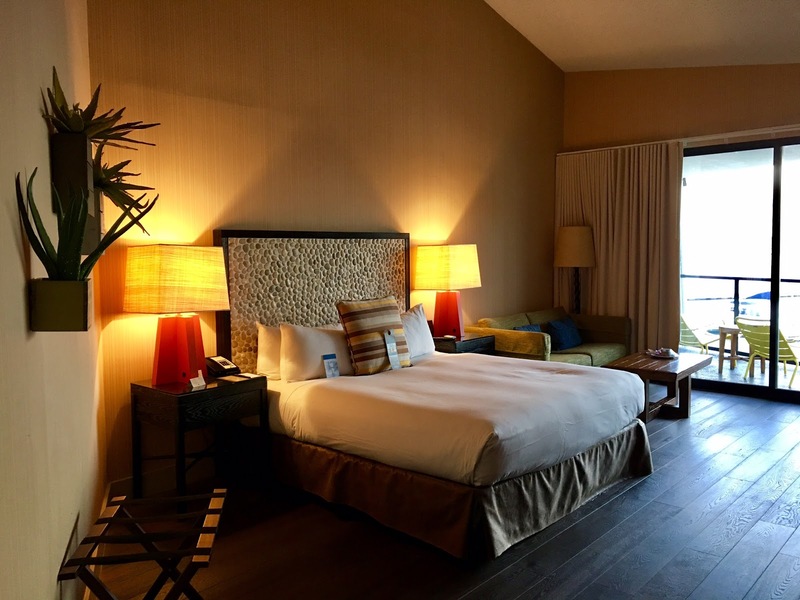 I've stayed at hundreds of hotels between business and leisure yet the Hotel Maya is one of my (if not THE) favorite hotel I've ever stayed at. Trust me, that's saying a lot. I enjoy the big-box hotels for their reliability but if you're looking for a boutique hotel in Long Beach, California, Hotel Maya is the spot. Let me take you around! 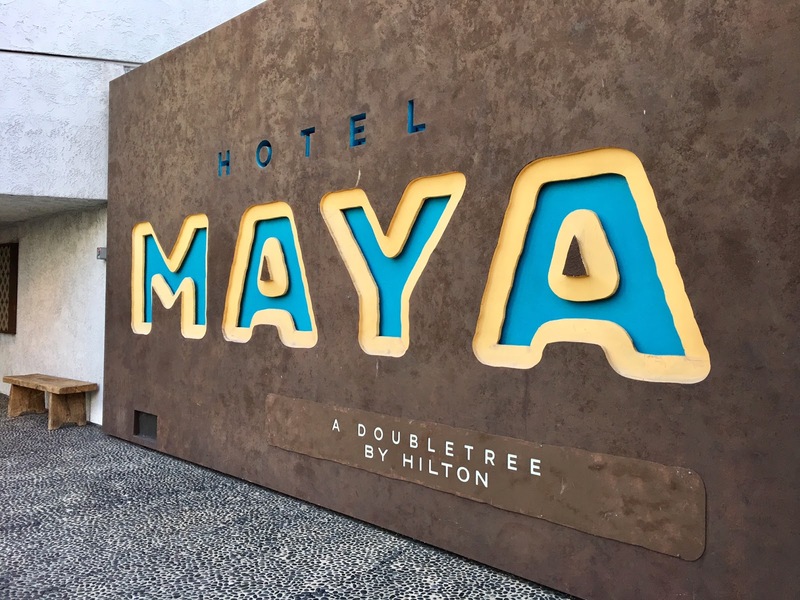 Here's a full review of the Hotel Maya. 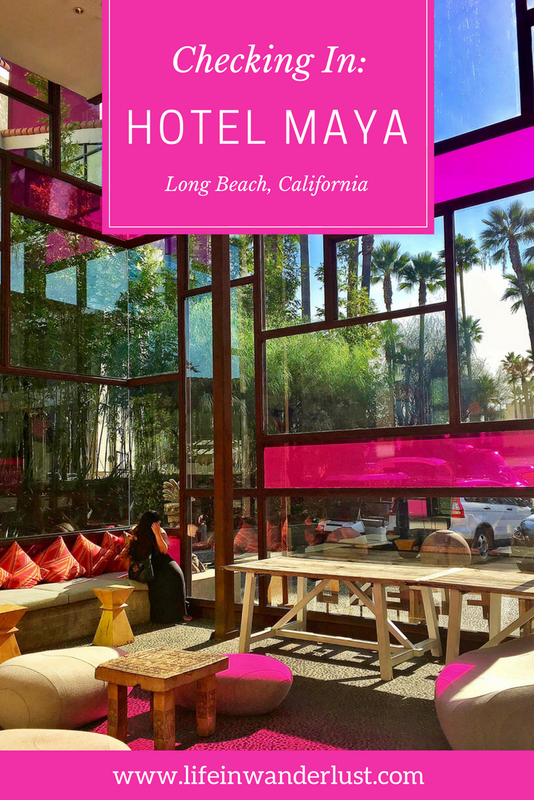 Hotel Maya is located in Long Beach, California which is about 20 miles south of Los Angeles. 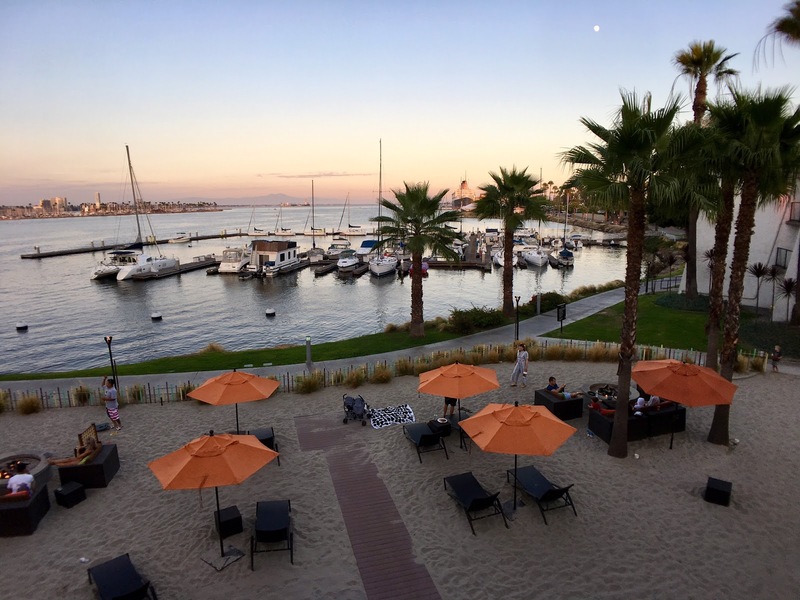 The hotel sits on the waterfront of the Queensway Bay on the opposite side of downtown Long Beach. So naturally, Hotel Maya has beautiful views of the water and the downtown skyline. If you're familiar with Long Beach but still not sure where it's located, the Queen Mary may ring a bell. Hotel Maya is walking distance of less than 1 mile from the Queen Mary. 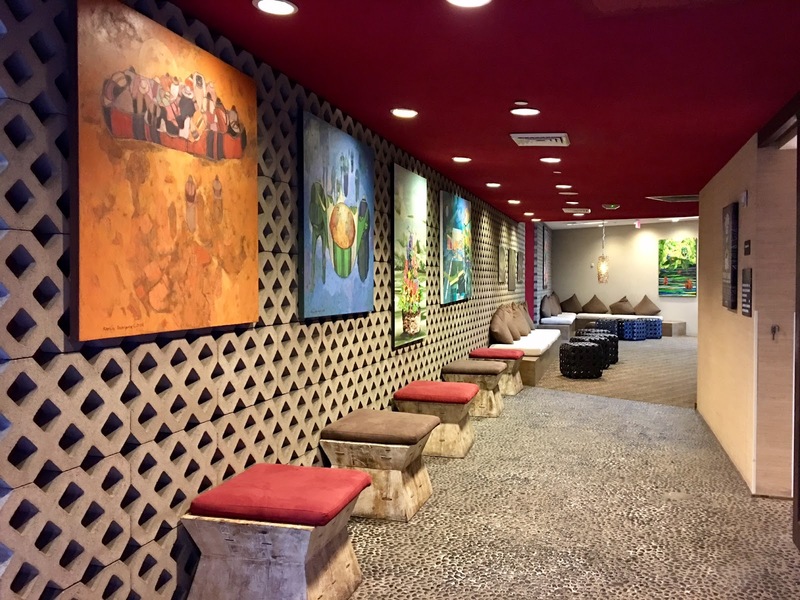 If you couldn't figure it out already, Hotel Maya is a Latin American themed boutique hotel and not your typical DoubleTree Hotel although it is one. When you drive through the gates, you're welcomed by a huge Hotel Maya sign next to a bright, fuchsia stained glass lobby with a large door. 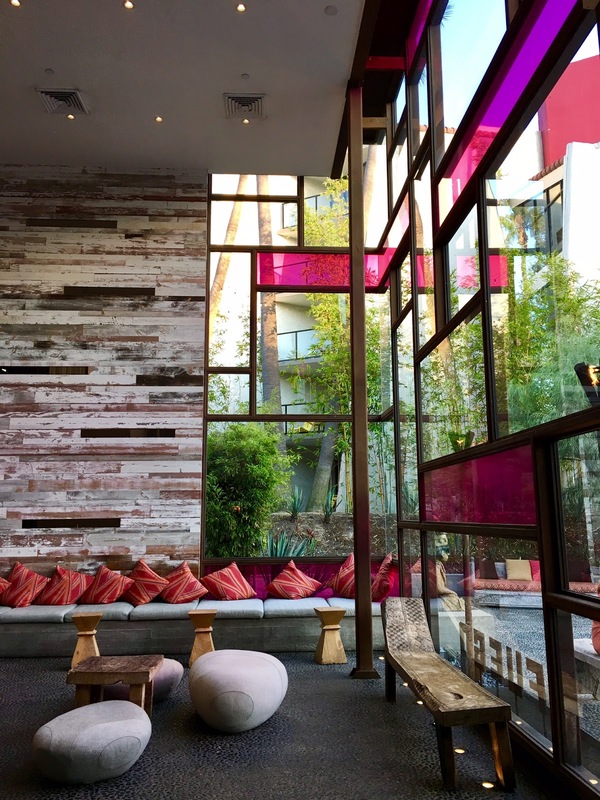 The interior of the lobby is bursting with color, spunky pop art pieces and carefully curated Latin-vibe decor. 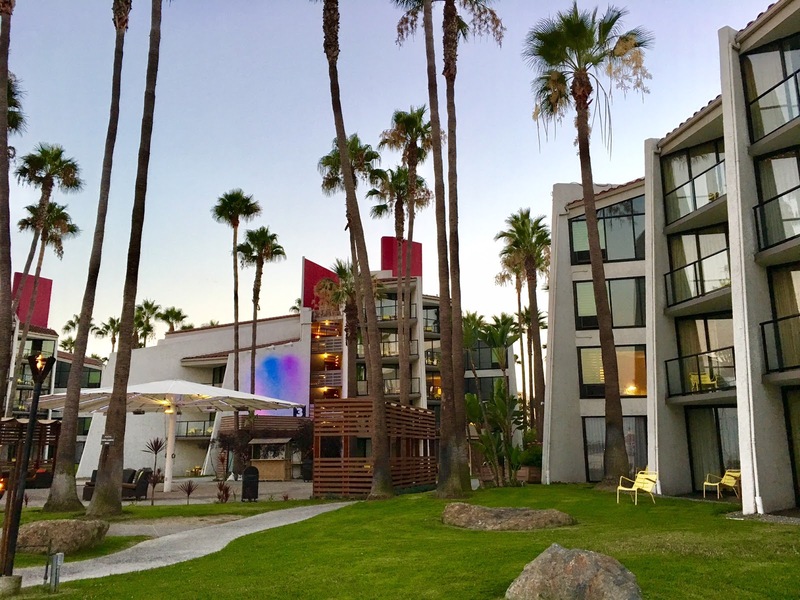 The exterior is lush with greenery, palm trees and seating while colors light up each building at night. 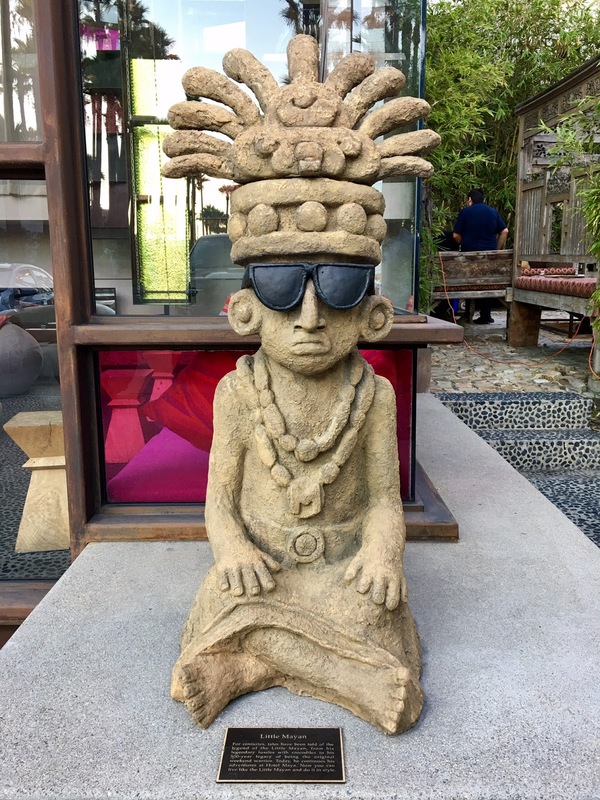 The first time I stayed at the Hotel Maya, I was on the ground floor with a patio which I loved. Who knew it could get better? The hotel generously upgraded me to the 1 King Deluxe Water View Balcony room and it was glorious! The room was so spacious it made the King size bed look tiny. The ceilings are vaulted, the walls are decorated with succulents and Latin American art - completely unlike any other hotel I've ever stayed at. The amenities didn't disappoint either. Outlet plugs on each bedside lamp, a widescreen TV, robes (the softest! ), in-room dining menu, information on activities, a mini fridge and a Keurig (yes, please!) were all readily available in the room. As if the room and bathroom weren't impressive enough, what got me was the patio and view. 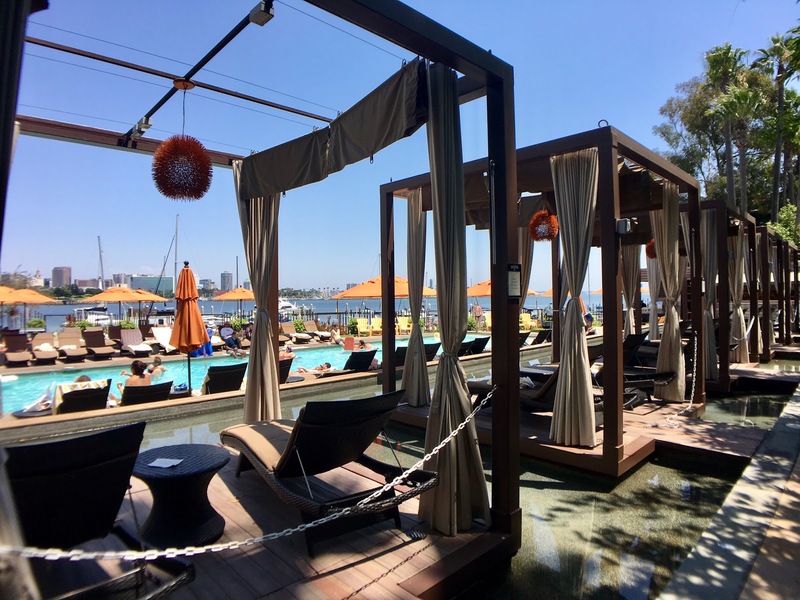 The view of their Playa (manmade beach), the dock, the Queen Mary and downtown Long Beach skyline hugged by towering palm trees was to die for. 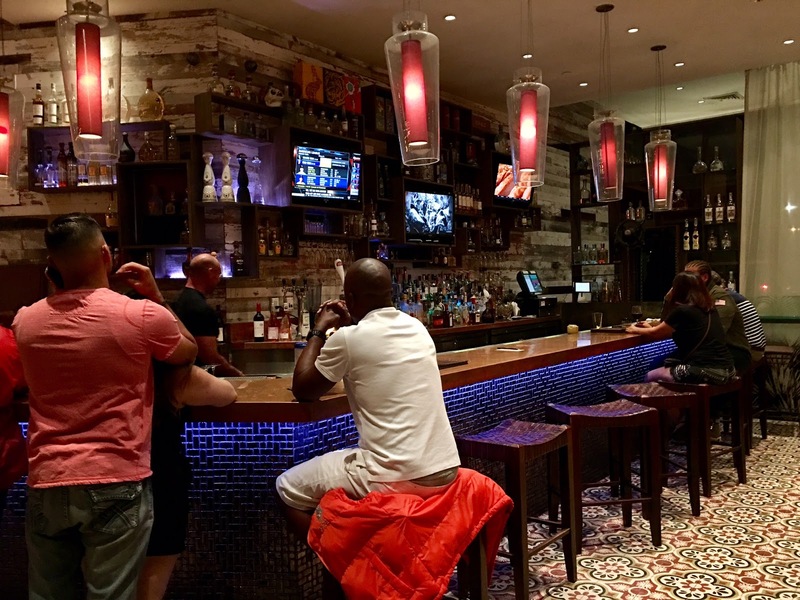 By far, one of the highlights of Hotel Maya is their restaurant, full bar and hookah lounge, Fuego. 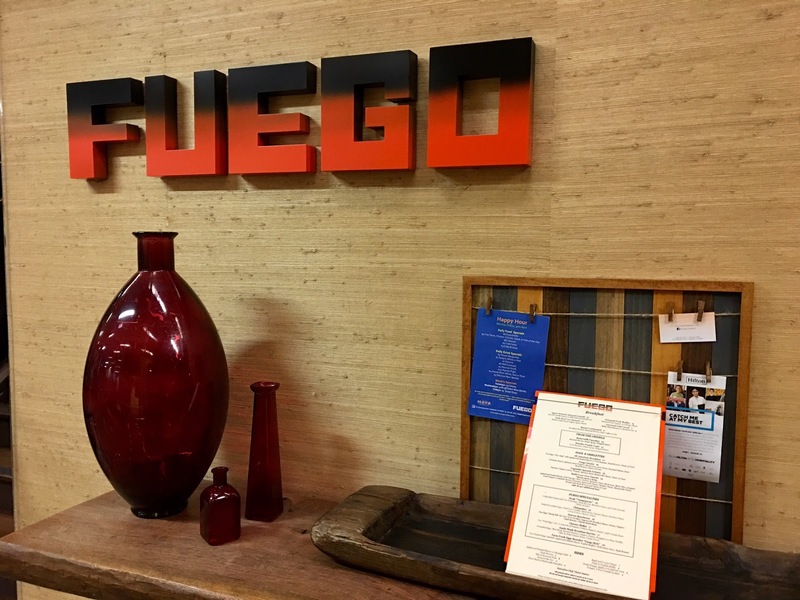 Southern California is known for their high quality Latin cuisine but Fuego truly is one of the best I've ever had. 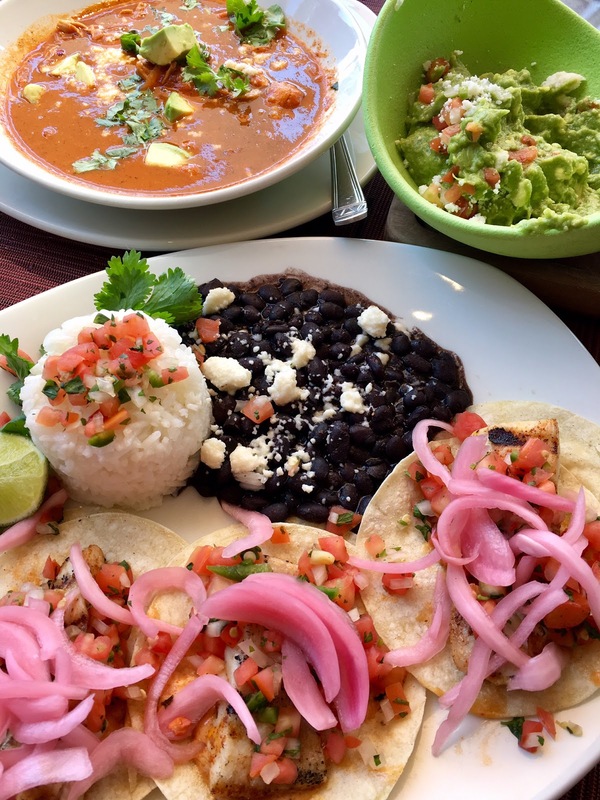 Fuego serves breakfast, lunch, happy hour and dinner along with their popular Sunday Brunch. 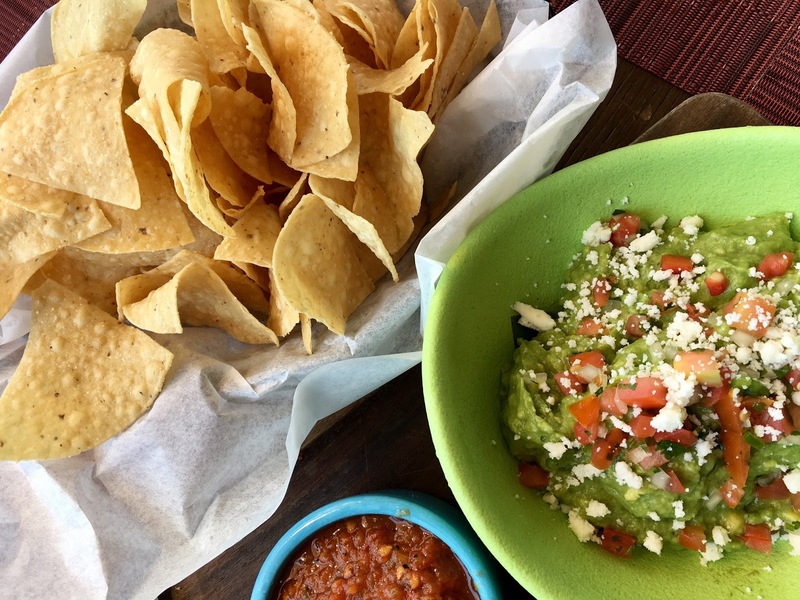 Their guacamole is a staple for me, as well as their tortilla soup and variety of tacos. 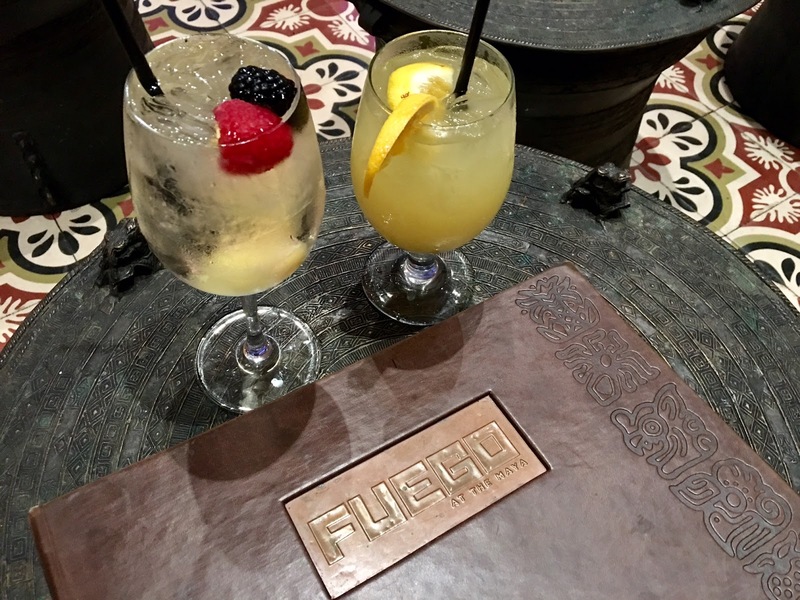 In the evening, I enjoyed my time at the Fuego bar where I always face the dilemma of choosing between their margarita or sangria. I ended up trying their Pineapple Sangria for the first time and loved it so much, I'll be serving it at my wedding! I haven't made it to the Fuego Happy Hour yet but I'm dying to - hopefully soon. If you're interested in Hookah, there's a dedicated area outside for Hookah. I haven't tried it personally but I often see people enjoying hookah there while relaxing in the cozy outdoor seating. Also, the same kitchen is used for Fuego, in-room dining and catering so however you choose to dine at Hotel Maya, it's going to be a winner! 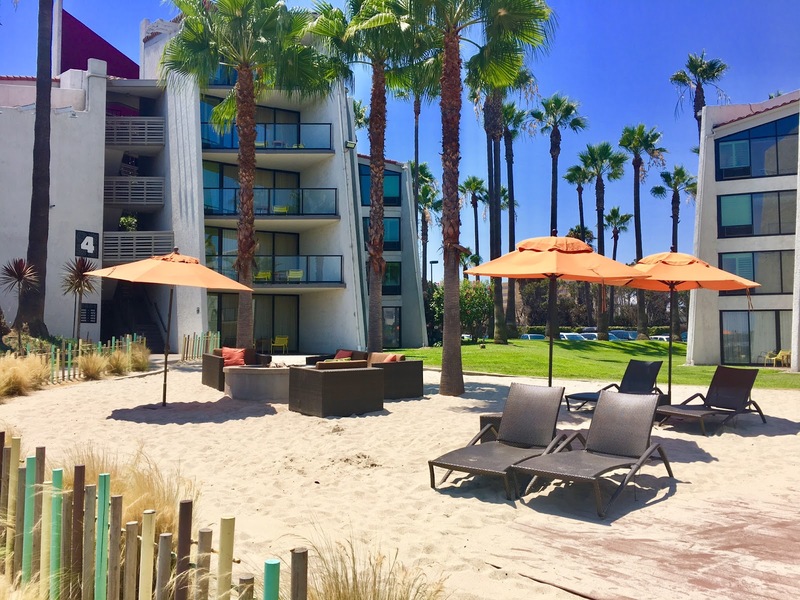 The "Playa" is a manmade private beach overlooking the harbor with luxury outdoor seating, firepits and the softest sand! Hotel Maya sells a s'mores kit in their shop for the firepits. How fun is that? Hotel Maya's pool is no typical hotel pool! 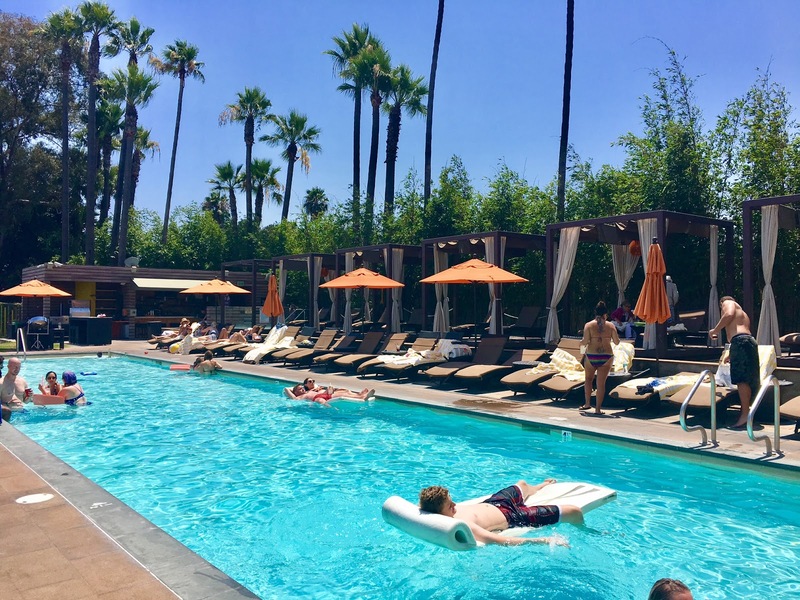 Their outdoor, perfect 80 degree pool overlooks the water with plenty of seating for relaxing. But wait - they also have a jacuzzi, a full bar and luxury cabanas. The cabanas can be rented all day for only $150! The Hotel Maya is full of games. Throughout the hotel, you'll find giant checkers, giant chess, ping pong, croquet, bocce ball, ladder golf and bean bag tosses. You can rent out boardgames from the front desk, too! Want an exciting day? The Hotel Maya provides Jet-Ski rentals from their private dock. It costs $95 per hour. I didn't have time but next time, it's a priority! If a Jet-Ski is a bit intimidating, you can rent bikes! 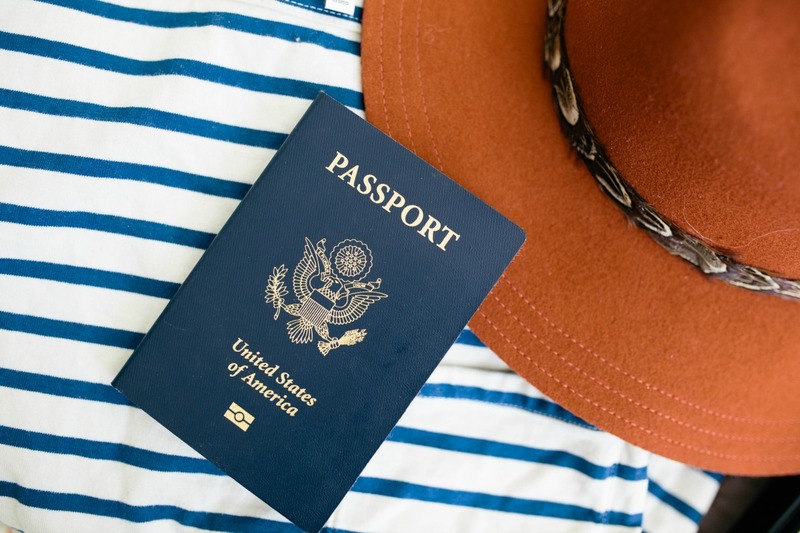 $30 for a full day, or $15 for 3 hours or less. Don't want to drive to Shoreline Village? Take the AquaBus to Shoreline Village for only $1 each way from the Hotel Maya dock! 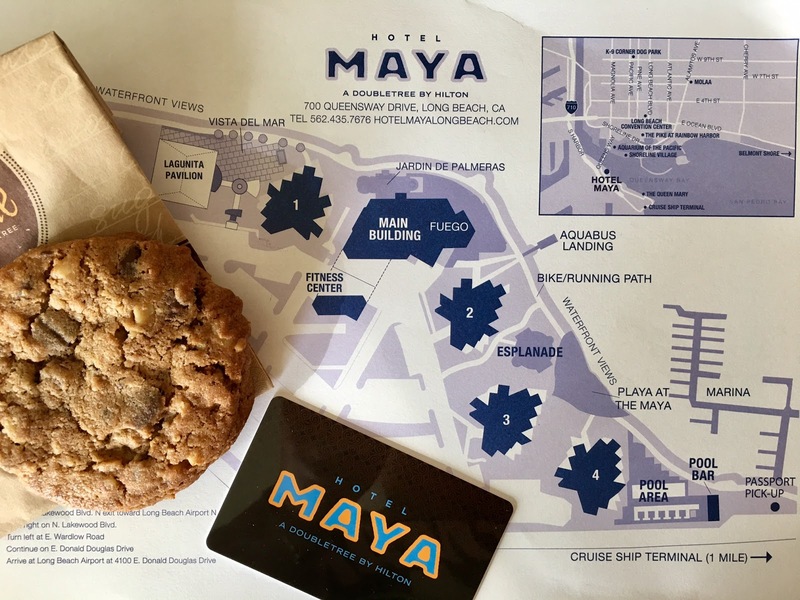 Last but certainly not least, since Hotel Maya is a DoubleTree, you'll get the famous DoubleTree Cookie at check-in. Yum! 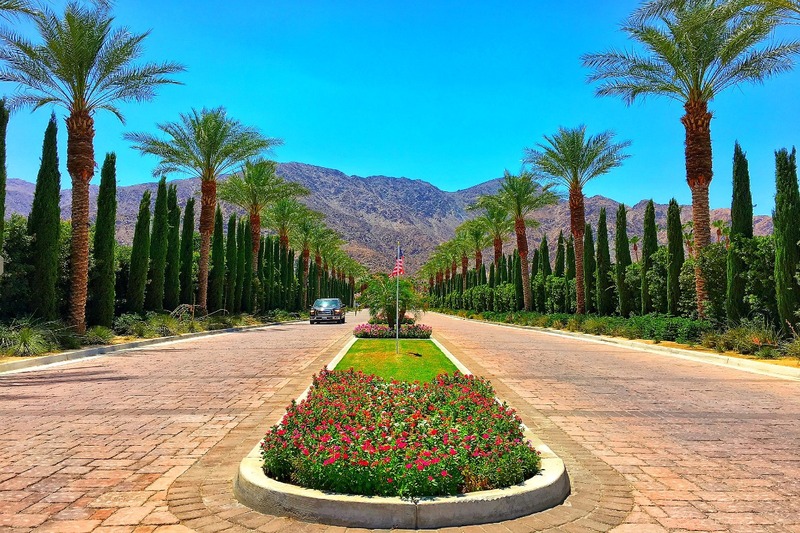 See other hotel reviews by clicking here! Disclaimer: I paid for my own stay. However, Hotel Maya kindly upgraded my room and hosted me at their restaurant, Fuego. Oh, I love the look of those pink glass panels! And the view over the harbour is excellent. I could use a week or so at this place!! This is a truly lovely and cozy hotel. What are your highlights of Long Beach, Kana? This hotel looks so awesome! I love the design and architecture! I felt like I was reading an interesting book. 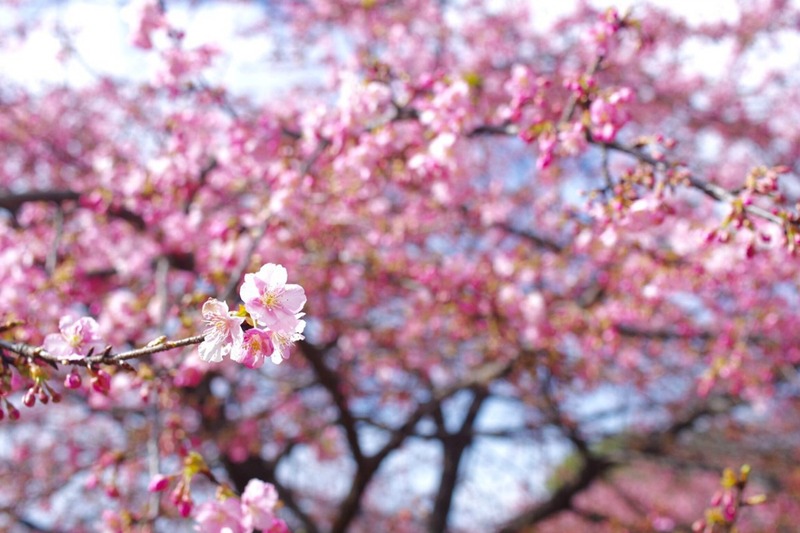 The pictures are so beautiful! I can't wait to visit the hotel! This hotel looks epic! 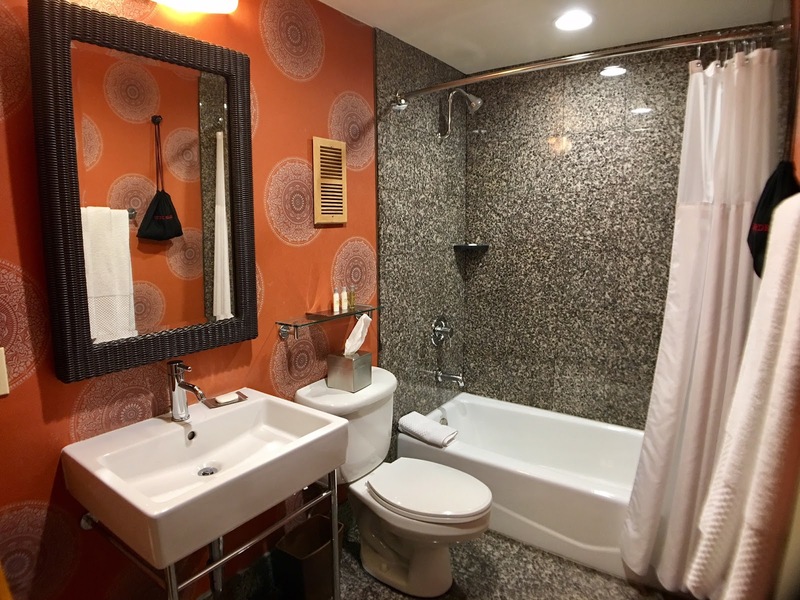 I love all the amenities and would seriously consider staying there!